Rascal Flatts and The Jason Foundation are working together on a new program to prevent youth suicide. 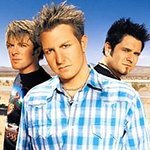 In addition to their roles as Celebrity Ambassadors and participation in public services announcements, public awareness programs, and fundraising, Rascal Flatts will promote the newly created B1 Project. The purpose of the B1 Project is to educate youth and students on recognizing the warning signs of youth suicide and how to help a friend. The Jason Foundation, Inc. (JFI) is an educational organization dedicated to the awareness and prevention of youth suicide. JFI believes that awareness and education are the first steps to prevention and focuses on establishing a Triangle of Prevention by providing students, parents and teachers/youth workers the tools and resources to help them identify and assist at-risk youth. This is accomplished through a series of programs and services that focus on information about the awareness and prevention of youth suicide. JFI is a national organization with a network of affiliate offices. Go to www.jasonfoundation.com to learn more. 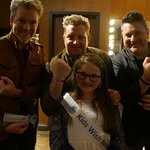 Rascal Flatts- Gary LeVox, Jay DeMarcus and Joe Don Rooney- have been involved in many philanthropic and charitable endeavors throughout their career and believe in the gift of giving back.